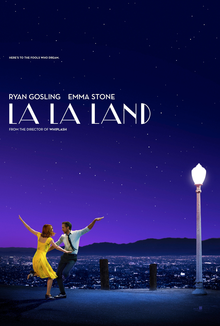 ERIK: Earlier this year, Paolo mentioned he'd had an idea for a LA LA LAND puzzle; he had WALLA WALLA and LAKE PLACID but was having trouble finding more theme answers. Feeling like a genius, I quickly rattled off what I thought were some solid additions: DALAI LAMA? LAPIS LAZULI? BLACK FLAG? SOLAR FLARE? He responded "ooh those are good" ... and then very gently and casually hipped me to the fact that his themers were both LANDs and not just LA LAs. Woah. This illustrates two things I know to be true about Paolo: one, that his puzzling brain has access to levels of holistic awareness that few others are capable of reaching (you can now see this on display every week at his website, Grids These Days); and two, that his emotional intelligence is comparably enviable. If I were starting some sort of Crossword Thing and needed someone to put in charge of editing or wrangling or what have you, Paolo would certainly make my short list. Big thanks to Will et al. for getting this thing into Monday shape. It's hard to write clues that are evocative and concise and accessible all at once, so I appreciate the help. The 35-Across clue is maybe a tad more derogatory than the one we submitted (a Larry Bird reference), but maybe that's our bad for putting it in the grid? That aside, I'm very satisfied with the way this one turned out, and I hope you enjoyed it. PAOLO: As a longtime Glutton For Pun solver, I am overjoyed to be collaborating with Erik Agard himself. After solving his excellent 2017 Oscars-themed puzzle, I went to Twitter to flood him with praise via direct message. Somewhere in the ensuing conversation, I brought up my idea for a LA LA LAND-themed puzzle (with only the entries WALLA WALLA and LAKE PLACID at hand). Thankfully, Erik was open to collaborating, even though making a puzzle inspired by "La La Land" may have gone against every fiber of his being. It says something about his graciousness, and I'm grateful for that. He found MALAY PENINSULA and TORTILLA FLAT to round out the theme, and so it went. Another note: I almost feel like there's a "Moonlight"/"La La Land" situation between the GFP and NYT puzzles. As with the two movies, I feel like both of the puzzles have their own merits. This puzzle is like "La La Land"; it's meant to appeal to general audiences, and it'll be consumed by more people than its counterpart. Fun, breezy — mass appeal. Erik's solo puzzle, on the other hand, is like "Moonlight"; more independent, and consumed by fewer people, but absolutely mold-breaking. I will say this about both "Moonlight" and Erik's Oscar puzzle: if you haven't experienced either, you need to remedy that post haste. This is to say: Erik Agard is an absolute cruciverbal artist, and I am honored and humbled to have been able to work with him. Hope you enjoyed! Great start to the week, a solid offering from two of my favorite people in the crossworld. I've seen a couple of LA LA LAND puzzles over the years — especially after the Oscars brouhaha — so (probably like Erik) I was a tad underwhelmed to get "phrases containing LA and LA." What a nice a-ha moment when I realized that it wasn't just any old phrases, but actual LANDs containing LA and LA. Beautiful! Mirror symmetry can be a godsend. I don't imagine there are many place names containing LA and LA. As a constructor, it can be supremely frustrating to find great theme answers, only to realize that they don't pair up. Lengths of 14, 12, 10, 10, bleh! Except that mirror symmetry handles some kooky theme set lengths perfectly. Good trick to have in one's arsenal. Mirror symmetry typically requires more black squares than regular symmetry, and today's grid is no exception. It's usually necessary to deploy some black squares in the middle of the puzzle, and they tend to chunk up, like the "hat" sitting atop HICK. Some editors put a limit on black squares at 36 or 38, but I don't mind when a puzzle gets up to 40 or even 42, as long as it's still visually pleasing. This grid looked fine to me. I wasn't sure about AFROED, but it does have dictionary support. More importantly, Erik has been awesomely AFROED in the past, so I defer to him. Otherwise, not a single hitch in the short fill — such meticulous work in filling out their grid, not an OOPSIE in sight. Your effort and care are much appreciated, sirs. A joy to solve; exactly how interesting, smooth, and snazzy a Monday puzzle should be. The grid uses 21 of 26 letters, missing BJQVZ. Average word length: 4.85, Scrabble score: 308, Scrabble average: 1.69.